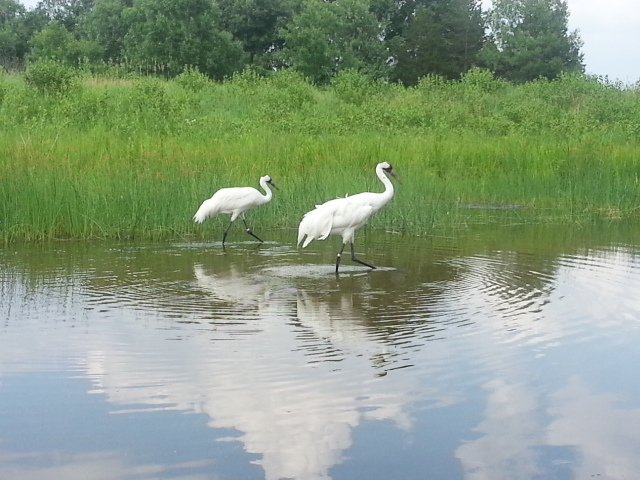 This pair of Whooping Cranes was spotted during our recent visit to the International Crane Foundation. 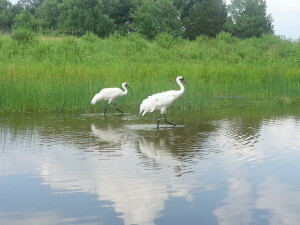 Have you visited the rest of our USA-RV Nomads website lately? Besides these blog posts, we’ve been working on adding RV park reviews of the places we’ve stayed, along with photos and links to local attractions. We’ve added sharing buttons so that you can easily share whatever you like with your friends via email or the social network of your choice. We’re also on Facebook: Facebook.com/RVNomads. We’re wrapping up our stay in the Wisconsin Dells area on Tuesday or Wednesday of this week, with our next stop being about a week of boondocking over the 4th of July weekend. Thanks for following our journey! Can you believe we’ve been at this for almost a year now?